If your debt load is out of control, one strategy to get on top of it is debt consolidation. However, what if you seek a debt consolidation loan and your lender turns you down? “A consolidation loan can be an excellent way to pay down your debt, because it increases your cash flow and lets you target more of your debt payment towards the actual debt, rather than servicing interest. This can actually help you to pay your debts down more quickly,” says Jeff Schwartz, executive director, Consolidated Credit Counseling Services of Canada. “The problem is when you’ve bought into this strategy and you get turned down for your loan. As you re-tool your debt repayment strategy, it is helpful to understand the reasoning behind you getting turned down to get on the right path for your financial future,” says Schwartz. One of the basic criteria in qualifying for a loan is to have a certain amount of income to be able to pay your debts. This works out to be your debt-to-income ratio. 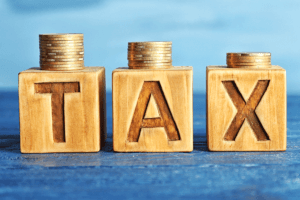 Although in theory when you consolidate your debts you will reduce that debt-to-income ratio, but if you don’t have the income to support the loan payments along with the cost of living (i.e. your mortgage/rent and some other expenses), you won’t qualify for the loan. Another problem with income qualification criteria is if you have fluctuations in your income (this often happens with seasonal or part-time employees). Is it possible to increase your income, perhaps by taking on a part-time job in addition to your full-time job? It is a sacrifice of your time, but the extra income could be the answer to your debt problem. 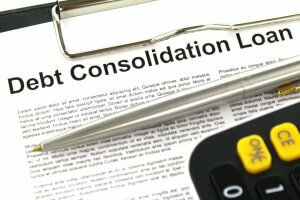 Another reason you might get declined for your consolidation loan is if you have a poor history of repaying your debt. You’ve got to remember that lenders use these criteria to assess the risk of lending you money. If your past history shows that you’ve not been paying your debts on time (regardless of the reason why), it’s a bigger risk for the lender, which may result in you not qualifying for the loan. Commit to paying debts on time, every time, to correct this problem. If your credit history isn’t long enough for the lender to really get a good snapshot of how you use credit, you are likely to get declined as well. One way to correct this problem is to take out a secured credit card and make a point of taking out small purchases that you repay in full each month. This can take time, but you will establish a solid credit history for the future. In order to reduce the risk for the lender, sometimes they like to take security out against the loan. Common assets are houses, cash or sometimes cars (although cars depreciate in value, so that may not always be an option). If you are getting an unsecured loan, not only will the interest rates be higher, you may not even qualify if the lender feels that you are a risk in other areas. Do you have something that you can pledge as security on the loan? That may help. Unfortunately, sometimes you’ve got too much debt to be bundled into a consolidation loan. This is tied into your income. You may be better suited to seek out other solutions, like talking to a credit counsellor about other options to pay down debt. Are you looking for solutions to get your debt? We can help. Call us at 1-888-294-3130 or visit our online debt analysis.